Video Converter for iPod, Zune, PSP, iPhone, 3GP Phone, MP4 player! 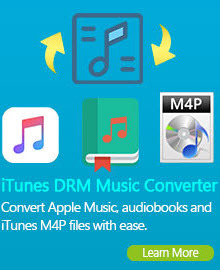 Any Video Converter is the versatile iPod movie converter that can convert AVI to iPod, MPEG to iPod, FLV to iPod, RMVB to iPod, VOB to iPod, MOV to iPod, WMV to iPod and many other video formats to iPod MP4 movies. If you want to rip DVD movies for iPod or other portable media players, Any DVD Converter provides you with outstanding solutions. iPod Video Converter is professional and fast iPod Movie Converter software. It can convert any movies to iPod, iPod nano, iPod nano 4, iPod touch, iPod touch 2, iPod classic, iPod shuffle, iPhone and iPhone 3G MP4 video formats. iPod Video Converter is an AVI iPod Movie Converter. Many people want to convert AVI to iPod supported mp4 files, as to upload avi to iPod. So they can enjoy the .avi movies on iPod everywhere. But how to convert avi to ipod video, how to convert avi files into ipod? AVI iPod Converter has the most functional, user friendly and simply to convert avi video files for playback on iPod. It makes so easy for you to convert AVI to iPod compatible mp4 formats with just few clicks and direct instructions. iPod Video Converter is a WMV iPod Movie Converter. Things changed a little when Apple iPod come into the market. And with the continuous popularity of iPod, iPod video format seems taking over the WMV. A lot of people now are seeking ways to convert their WMV video file to iPod for enjoy videos and movies at anytime anywhere. With lots of codec built in, iPod Video Converter can convert WMV files to iPod, MPG, MPEG, VOB, AVI, MP4, MOV,3GP/3G2, H.264, and FLV. And it also can convert WMV to audio formats including MP3 to play on the iPod. iPOd Video Converter not only converts video/audio files from WMV, but also supports converting to WMV from video files. iPod Video Converter is a MP4 iPod Movie Converter. If you have some very interesting videos which are in MP4 format, however, when you transfer them to your iPod, you find that they are not playable, it is very frustrate. As we know, not all MP4 video can be played on iPod. So, what you need is iPod Video Converter! iPod Video Converter gives you the easiest and fastest to convert MP4 movie into iPod Video format. It helps you make perfect duplicates of your MP4 movies on iPod. iPod Video Converter is a FLV iPod Movie Converter. As we know, most of the video files downloaded from these online video hosting sites are in Flash Video (.FLV) format. If you want to put them on your iPod or iPhone for playback again and again, you need to convert them to iPod supported format first. iPod Video Converter can simply and fast convert FLV to iPod MP4 files without any loss of quality. So you can enjoy your favorite Flash Flv video on iPod, iPhone, PSP. You can trim source Flv and convert it to MP4. iPod Video Converter is a 3GP iPod Movie Converter. If you have an iPod or you are planning to have one, you can transfer plenty of materials such as music, movies, video clips which are from your mobile phone in 3GP format. You can use iPod Video Converter to convert 3GP video files to iPod from your mobile phone. It is an excellent and easiest-to-use video conversion program that convert video formats at fast speed and high quality. It supports all mobile phone video formats including 3GPP, 3GP2. It is powerful and supports batch conversion. You can enjoy your favorite mobile phone video clips on your iPod now. 2. H.264 video, up to 2.5 Mbps, 640 by 480 pixels, 30 frames per second, Baseline Profile up to Level 3.0 with AAC-LC audio up to 160 Kbps, 48kHz, stereo audio in .m4v, .mp4, and .mov file formats. 3. MPEG-4 video, up to 2.5 Mbps, 640 by 480 pixels, 30 frames per second, Simple Profile with AAC-LC audio up to 160 Kbps, 48kHz, stereo audio in .m4v, .mp4, and .mov file formats. The iPod family has now expended to several generations, including iPod shuffle, iPod mini, iPod classic, iPod nano and iPod touch. As of September 2007, the iPod had sold over 110 million units worldwide making it the most popular digital audio player series. Any Video Converter is the versatile iPod movie converter that can convert AVI, MPEG, FLV, RMVB, VOB, MOV and many other video formats to iPod MP4 movies. 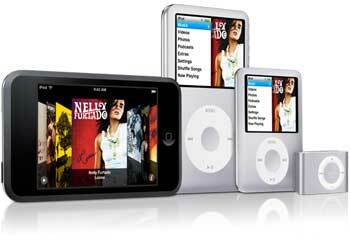 iPod classic, iPod nano and iPod touch can play MPEG-4 (H.264/MPEG-4 AVC) and QuickTime videos. If you want to convert FLV, AVI, MPEG and other types of videos to iPod movies, you can turn to Any Video Converter. This iPod movie converter can convert various video formats to iPod movies at fast converting speed and with excellent video quality. Any Video Converter can download and convert YouTube FLV videos and convert the videos to iPod movies. This iPod movie converter can also convert avi, asf, mov, mp4, 3gp, m4v, rm, rmvb, flv, mkv, mpg and vob to iPod movies. 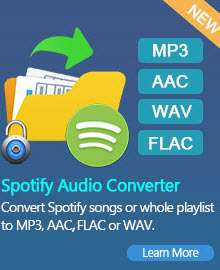 Besides iPod classic, iPod nano and iPod touch, iPhone, PSP, Zune, Apple TV and mobile phones are all supported by Any Video Converter, the versatile iPod movie converter. You can select Xvid or MPEG-4 coded for encoding MP4 movies for iPod. Default video size is 320 × 240.
iPod software worked with Windows and Macs. Fifth and sixth generation iPod classics, as well as third generation iPod nano, can additionally play MPEG-4 (H.264/MPEG-4 AVC) and QuickTime video formats, with restrictions on video dimensions, encoding techniques and data-rates. Any Video Converter supports iPod, iPhone, Zune, PSP and other Portable Media Players (PMPs) and cell phones. Besides the output formats dedicated for iPod, iPhone, Zune, PSP and cell phones, Any Video Converter supports customizing WMV, AVI and 3GP formats. Thus you can get customized videos for any PMP that supports WMV, AVI and 3GP video formats.